The grand coronation of Reina Hispanoamericana 2018 will be held on 3rd November 2018 in Bolivia, where thirty gorgeous Latinas will be competing for the coveted crown. The winner will succeed Reina Hispanomericana 2017 Teresita Ssen Marquez of the Philippines. Alma Beatriz is representing Colombia in Reina Hispanoamericana 2018. She was a participant in Miss Universe Colombia 2018 where she earned the right to represent her nation. Alma is 25 years of age and stands tall with a height of 179 cm. She is currently studying Advertising Graphic Communication at the University of Medellín. Alma was one of the finalists of Most Beautiful Lips of Reina Hispanoamericana 2018. She is surely a gorgeous woman and a very strong contender in the pageant. Alma is going to make a mark in the finale. From Ecuador, Lisseth is one of our favourites in Reina Hispanoamericana 2018. She is 19 years of age is a student of Fashion Design at Chiolecca Fashion School. 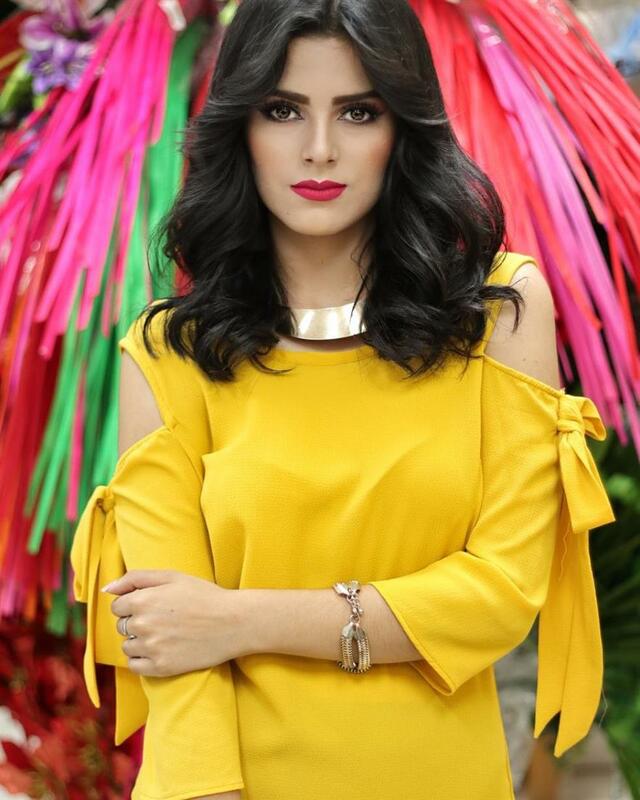 Lisseth was a participant in Miss Ecuador 2018 and earned the right of representing her nation by performing well in the national finale. Lisseth is fluent in both English and French and is a professional model. She is already one of the favourites of the audience and thus will surely make a concrete mark in the finale of Reina Hispanoamericana 2018. Her strength lies in her wit as well as her beauty, she is one for the win. Alyssa was a participant in Miss World Philippines 2018 and was crowned Reina Hispanoamericana Filipinas 2018 at the conclusion of the event. She is 22 years of age and has a height of 167 cm. Alyssa is an award-winning singer who earned her Bachelor of Arts degree in Integrated Marketing Communications from the University of Asia and the Pacific. Alyssa has a lot of pressure on her shoulders as she succeeds and was crowned by none other than Reina Hispanoamericana 2017 Teresita Ssen Marquez. But one can not underestimate Alyssa as she is a very strong contender and has the experience necessary to make a mark in the finale. Dulce is one of the strongest contestants in Reina Hispanoamericana as she has been in the pageant world for a very long time. 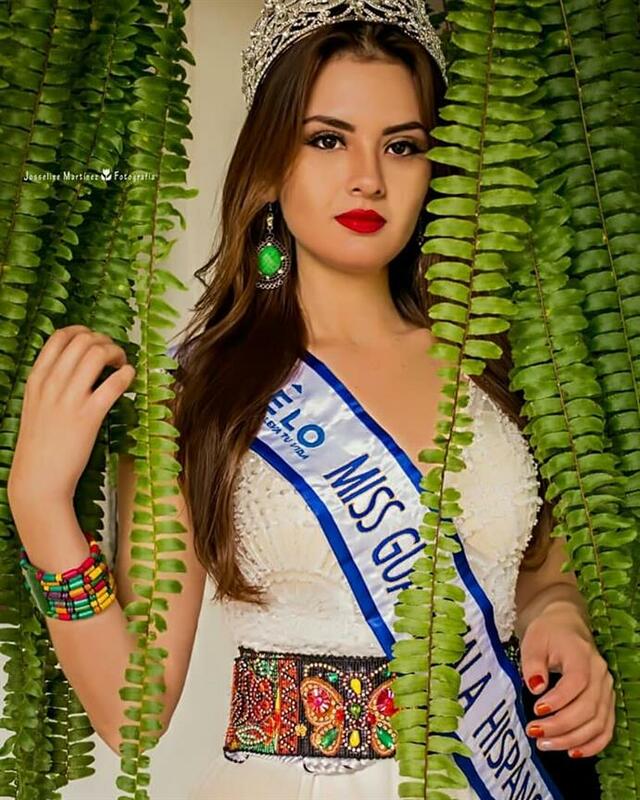 This 22 years Guatemalan beauty represented her nation in International Queen of Peace 2016, she was the winner of Regional Queen of Volunteer Firefighters 2012 and National Youth Leader Queen 2015. Dulce was also the 1st runner-up of National Vicereine La Paz 2015. Dulce stands tall with a height of 178 cm. With her history in the pageant world, she will surely be able to win the hearts of the judges and the audience and make a concrete mark in the finale. Dulce is one of the most deserving candidates for the crown. Cristina has been proving herself worthy since the national contest that earned her the right to represent her nation in Reina Hispanoamericana 2018. 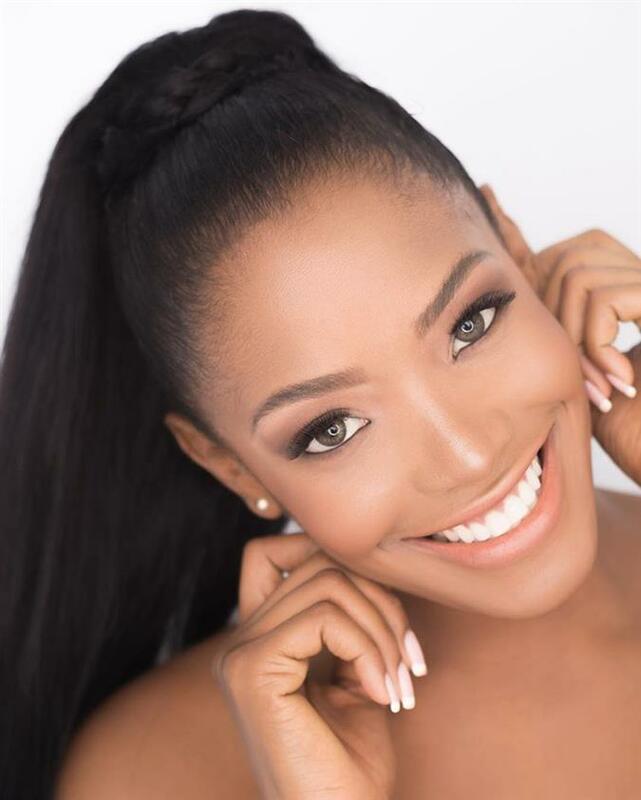 She was the first runner-up in Miss Haiti 2018. Cristina is 26 years of age and she is not just beauty, but also brains. Cristina is a dentist by profession and is multilingual, so she can speak fluently in French, Spanish, Haitian Creole and English. She has already garnered a lot of fans and has a very good chance of winning. Daniela is representing Honduras in Reina Hispanoamericana 2018. She is 19 years of age and stands tall with a height of 172 cm. She is experienced when it comes to the pageant world as she participated in Teen Honduras International 2016, Teen Honduras Universe 2016 and Teen Expoworld Honduras 2016. Daniela’s participation in Miss Universe Honduras 2018 earned her the right to represent her nation in Reina Hispanoamericana 2018. Since she already has so much experience when it comes to pageants, she easily is able to make a mark in the finale and maybe even win the crown for her nation. Aranza is representing Mexico in Reina Hispanoamericana 2018. This 22-year-old Mexican beauty did exceptionally well in Miss Universe Mexico 2018 where she was one of the finalists. Aranza stands tall with a height of 177 cm and is currently studying to attain her bachelor’s degree in Accounting. Aranza already has a huge fan following and she has been doing well in the Preliminary rounds, as she was one of the finalists in Best Silhouette and Chica Amazonas in the pageant. Aranza also won the title of Most Beautiful Lips. Therefore, she is a very strong contender and will surely give a tough competition for the crown. Maria is a special contestant this year. She will be representing Paraguay in Reina Hispanoamericana 2018 as well as Miss Universe 2018 as she was the winner of Miss Universe Paraguay 2018. Maria is 24 years of age and stands tall with a height of 175. She is a student of Engineering in Marketing Career and is multilingual with the ability to speak fluently in Spanish, Guaraní and English languages. Maria has been doing well in the preliminary rounds as well, as she won the Best Silhouette award in the competition. Since she has the patience and the strength to represent her nation in two different pageants, it automatically proves that she is deserving of the crown as well as all the respect. Jessica was a participant in Miss Universe Peru 2018, which earned this 27-year-old the right to represent her nation in Reina Hispanoamericana 2018. An architect and a designer by profession, Jessica stands tall with a height of 177 cm. Jessica is experienced when it comes to the pageant world as she was Virreina Miss Turismo Latino 2018, and was also in the Top 4 finalists in Miss Peru 2017. Her prior experience and her beauty will definitely help her go far in the pageant and make her nation proud. This year is special for Nariman, who is representing Venezuela is two different prestigious pageants. The 22-year-old is a delegate in Reina Hispanoamericana 2018 as well as Miss Supranational 2018. She stands tall with a height of 177 cm and is a very deserving and hardworking candidate for such an important task. Nariman is no stranger to the pageant world as she was a participant in Miss Venezuela 2017 where she was placed in the Top 10. She is a student of Business Economics. Nariman is already proving her worth in the Reina Hispanoamericana 2018 as she was a finalist in Best Smile Award in Reina Hisapnoamericana 2018. She will put up a fierce fight for the crown, for sure.